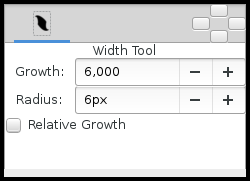 The "Tool Options Panel" displays the options you have available to apply to the current tool you're using. 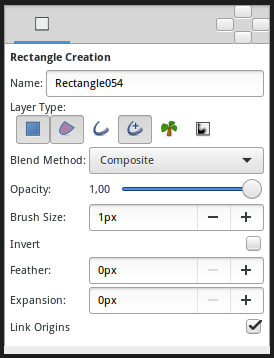 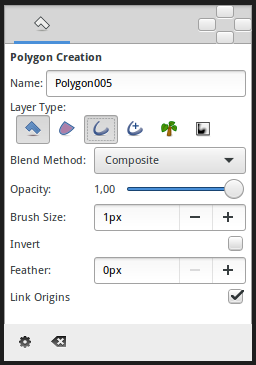 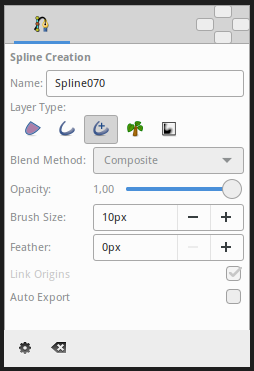 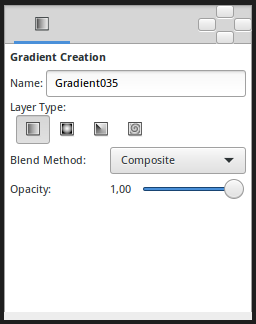 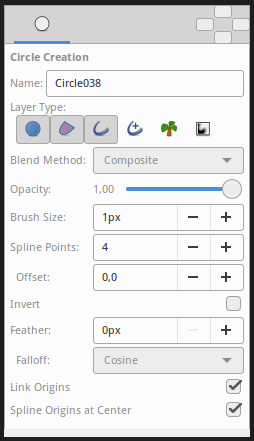 For the tools that can create multiple layers at the same time the panel contextually display the available options for the selected type of layers. 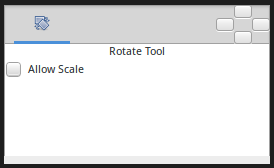 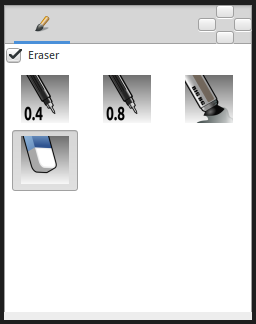 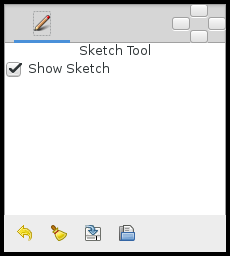 The icon for the Tool Options Panel always changes to what tool you're currently using. 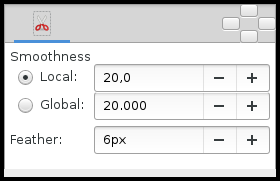 The values of the "Tool Options Panel" parameters are stored between tool usages and between SynfigStudio sessions, so you can reuse them as may times as you like. 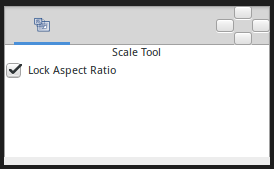 Lock Aspect Ratio : Prevent from changing the ratio x:y of the bounding box of the selected Handles. 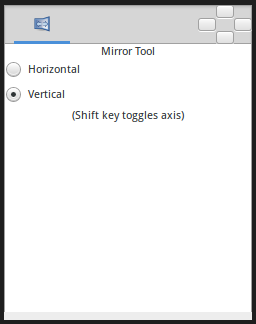 This page was last modified on 4 April 2016, at 04:08.